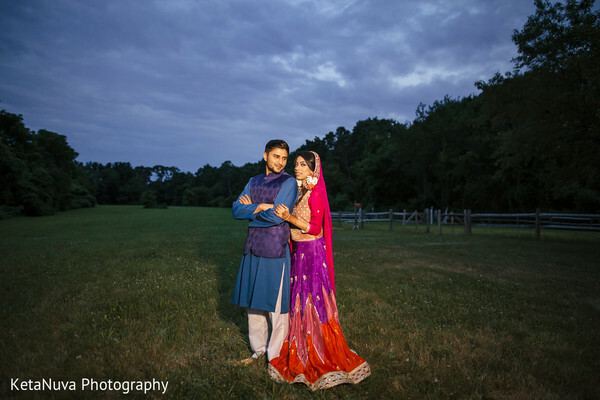 We’re thrilled to travel to New York to celebrate the Pakistani wedding of Sumaiya and Zain. 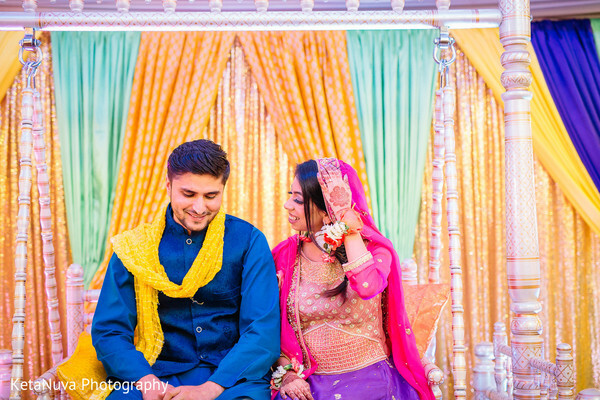 Euphoria was spinning through the air as guests eagerly anticipated the lovebirds finally becoming husband and wife! 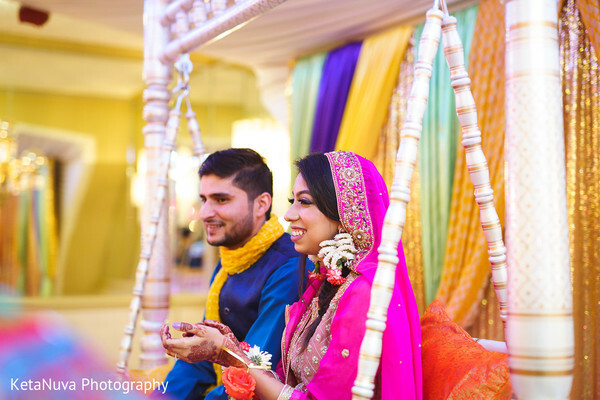 The couple were ready to get the party started with their kick off mehndi celebration. 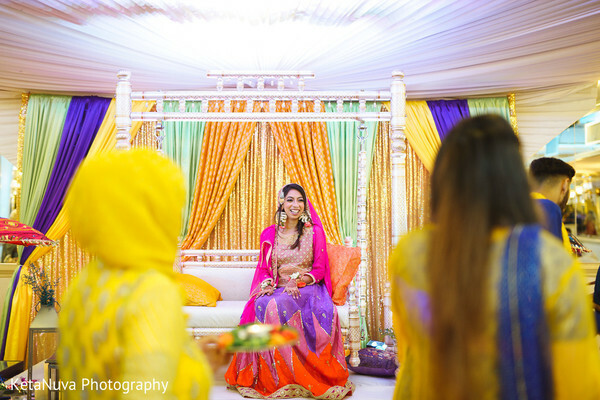 For her party gear, gorgeous Sumaiya opted for a glowing violet and pink lehenga with blooming floral earrings. 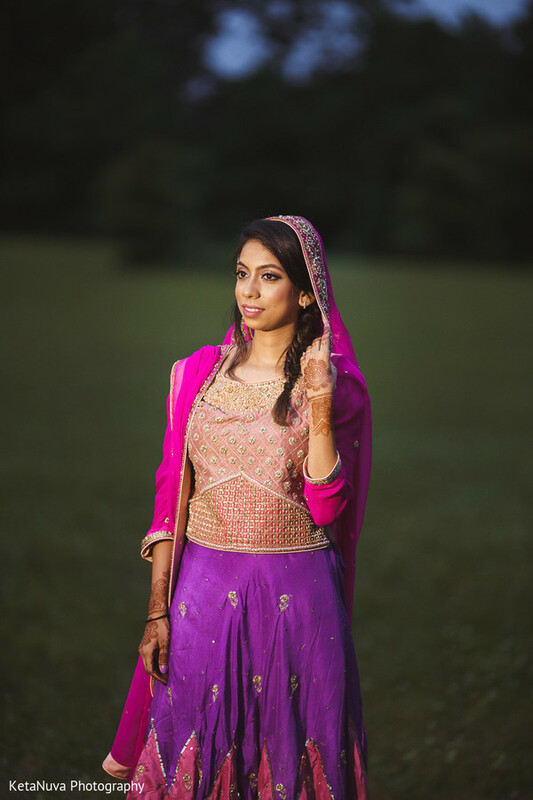 Maharanis, one of our fave wedding fashion trends is the bride adorning herself with tons of florals for her mehndi and sangeet. After all, there’s nothing prettier than the combo of fresh blooms + jewelry! 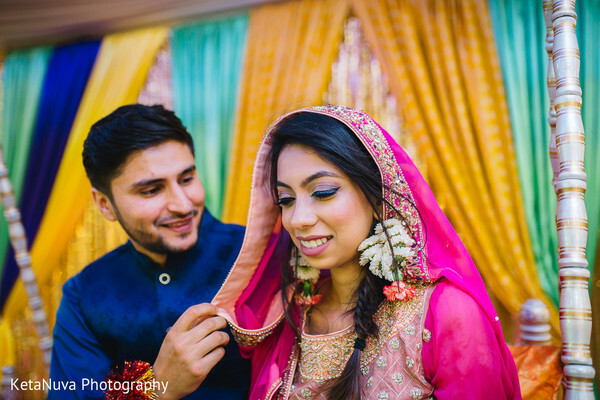 Her hair and makeup was designed by Makeup by Waida who bestowed this bride with a bombshell beauty look. Guests were treated to a mesmerizing display of decor by Stylish Events and Floral Explosion, and we adore the mint and orange sherbert color combo used for this fun event. So unique and eye catching! 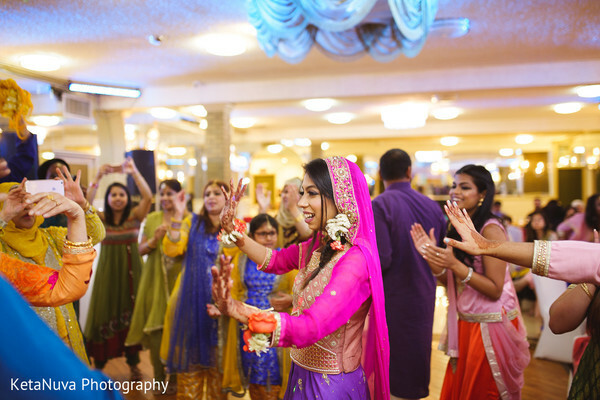 The venue was immersed with the sounds of love, dancing, and laughter all night long. 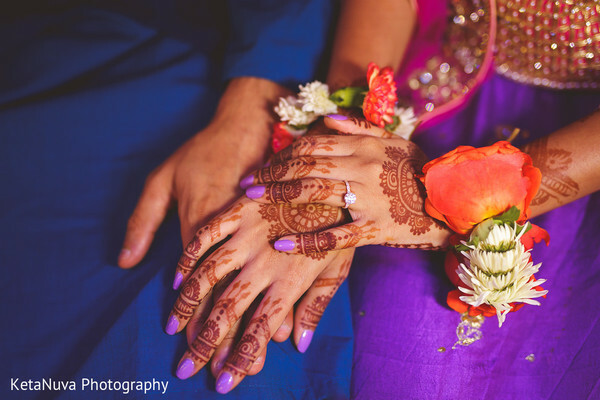 Our hearts are overflowing with joy for Sumaiya and Zain. 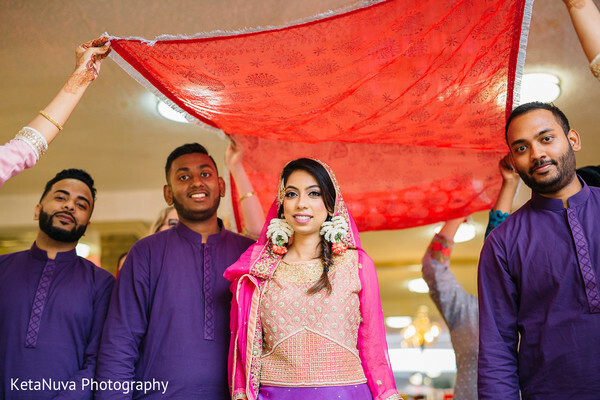 KetaNuva Photography has all the memories perfectly preserved in our full gallery, so take a gander and relive all the happiness. We simply cannot wait to get our hands on all the live action footage by Fen Video to witness more beautiful moments! Reception dazzle coming right up!